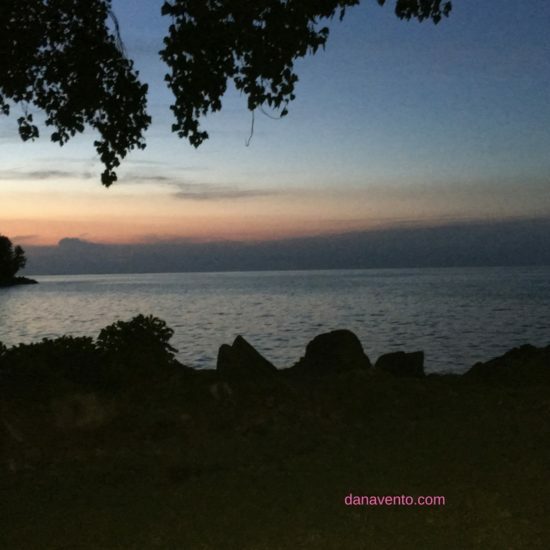 Casa Vento has teens in it and one thing is certain, I plan vacations around the teens and I always make sure there are plenty of adventures and perks no matter where we go. Vacation is about appeasing the toughest crowd which are teens. When I get a brilliant smile from cheek to cheek I know we have struck vacation gold. We travel so often that I have to truly decipher which places are the best for teens. My 5 teen-friendly vacation options span from the USA to the Western Caribbean. If your kids are little they will be teens, if you have teens you are seeking vacation spots and if you are grandparents that do large family trips, teens will come along! Lavishly live travel out loud and consider these 6 teen-friendly vacations when you plan that next getaway. I have to tell you, before traveling anywhere I do a lot of reading, and research to see what others have written and often information like teen-friendly is overlooked. It seems that more often than not, people write about the rooms and the beverages rather than the teen-friendly side of the vacation. These are my three, always smiling because I make sure I PLAN our vacations for them! It’s a selfless gift because I want them to have a kicking great childhood set of memories! Teens are growing into adults so it is super important that when they travel they are happy, they are the next generation of consumers right? Do you really know where to go though? Every family is different but our teens have really loved some of our out of country experiences as much as our USA Travel. Teens want adventure, the ability to ‘slunk’ when they feel like it, plenty of food, ‘fun in the sun’ and a bit of freedom, and that is exactly what we have found with each destination. My kids are wild about cruising. The kids discovered the ship, made friends, went to the age-appropriate clubs and had a blast. We had a harder time getting them out of the clubs than ever getting them in. While at the beginning the teens were a little ‘skeptical’ about going into a club they merged, blended and made friends! It’s funny but they would all seek each other out at dinner, during the day, when we were on excursions and our families would pass, it was just that way. Cruise ships are perfect for feeding the troops as well because having a teen is a license to non-stop hungerville and the chef from the Lido decks to the dining rooms and restaurants have this covered. Even if you have non-stop eating machines they are well provided for. 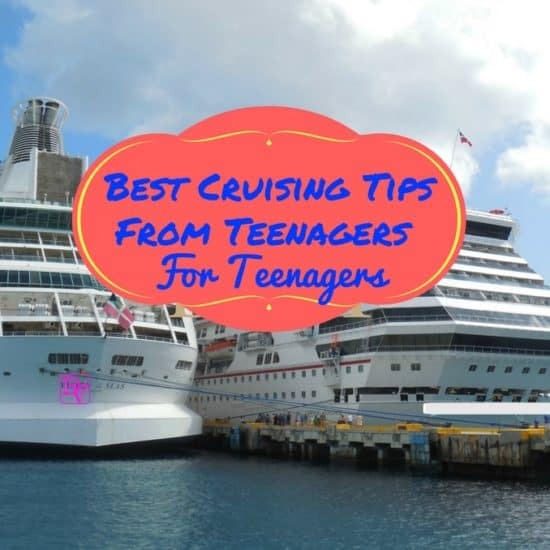 Check out some of the fun we had in the Western Caribbean (Roatan, Belize, Cozumel, Cruise Ship Teen Clubs) And if you are still not convinced my kids wrote this article on Cruising: Best Tips on Cruising From Teens To Teens. Excursions are a way to pacify everyone because there is shopping, tourism, beaches, and fun activities at each port of call. If you decided to get off the ship, you have the pool to yourselves and the kids love the non-lines on the slides. Truly cruises are a win-win from clubs to food to excursions as everyone will have something to do and the smiles you get are priceless. It is magical from the time you land until the time you leave. From riding 4×4’s as a family in the Sierra Madres to Snorkeling in Los Arcos, the adventures are perfection. The Malecon the ‘boardwalk’ provides shopping, entertainment, food and tons of culture just via a generous sized walk. Our teens loved the nightlife along the Malecon and we shopped during the day. A very fun family trip for any family with those that all have different wants. Beach time, poolside, all-inclusive hotels and an easy to navigate Malecon. My bet is one trip here and you will suddenly have your family vacation spot chosen! Rent a home in the Outer Banks and you will be so happy you did. This is a unique vacation experience and the more family that you bring along the merrier. The homes are huge, the rentals are reasonable and the fun in the sun is every day! Surfing, Wind Sailing, Paddleboarding, kayaking, shelling, and beach fun await your family and your teens. OUTER BANKS is a blast here because it is flat and there are so many different places to bike. State parks, lighthouse adventures and travels to OUTER BANKS all equivocate to teen heaven! Your rental home is the perfect place to cook big family meals and if you charter a boat or have a boat, fresh fish will be the on the menu. Smiles will abound on the teens as the freedom to roam the beach and bike in an area that is quaint, fun and still old fashioned beach! Calling all teens that love the outdoors, ATV Riding, paintballing, zip lining, fishing and zip lining experiences, Ohio is for you! This is so much fun for those that have teens that crave adventure and yet also want a restful place to stay after the long days of hard play! Good outdoors without a lot of cell coverage keeps the teens OFF the phones in the vacation. The adventures can be as insane as you want or as laid back as you prefer. Lodge rentals are perfect for large families and some boast private fishing ponds as well as large areas to run off the endless energy. Pitfire, hot tubs it’s all available and the memories are forever! Do you have roller coaster loving teens? Or perhaps teens that want day adventures that include a little history, a little shopping, and driving around an island on a golf cart? Wow, do I have some fun for you! We recently traveled to Put In Bay Put-in-Bay which is a village on South Bass Island. From Sandusky, you take a Jet Express to the island and you play the day away. From a crystal cave to ice cream (look in the alley) it’s fun from morning till night. Reel Bar is best for food and Golf Cart Rentals are a great way to see the area. Kalahari and Sawmill Lodge Resort are each unique ways to lodge, depending if you want more activity or quieter? Cedar Point is right here and offers thrill rides all day long! There are times when parents want to just take a vacation and of course the teens want activity and this is why I love Kingsmill Resort. 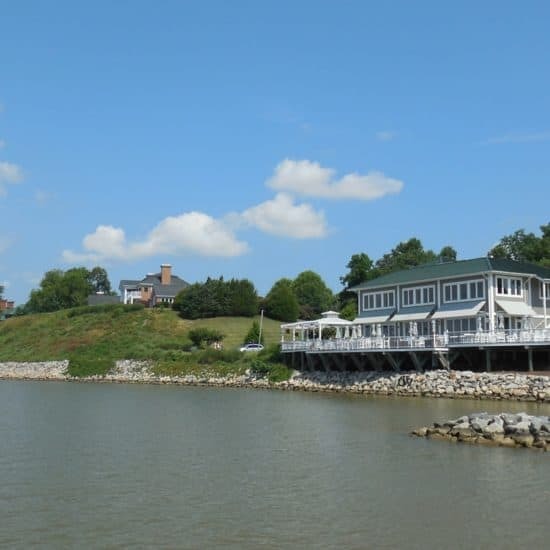 The resort is nestled along the James River and behind a community. Walking trails, spas, golf, tennis courts, bikes, amazing resort rooms, pools with poolside eats all make this the winning solution to low-key with unparalleled accommodations for a getaway. The resort has something for everyone and the rooms offer full kitchens so you can dine at the restaurants and eat breakfast in the room while watching the sunrise, it’s so perfect. Did I mention this is a stone’s throw from Williamsburg? What I have learned is that making sure each location has activities, food options and some type of adventure, I know that my kids will smile. I am always happy when they are happy, because right now it is their time, and when they are gone, I can travel on my time. Enjoyment for me is through the kids and it is easy to accommodate! Lavishly live travel out loud because now you have 6 teen-friendly vacation options. Well, I also like to spend my vacations on the beach and near to the water. This is the best time when we spend the time with the family or friends. Wow very helpful tips who wants to be out of town! Hope we have so much also here in the country. For my family cruises are the best option – It gives everyone a chance to really enjoy themselves and have a good time. Me, I have to watch out for all the buffets! LOL. You have lovely kids, Dana. You brought them up so well. I am sure they appreciate this travel experiences they have with you. Thank you for sharing this to us your readers. It’s an inspiration for us all! Thanks for that Doreen, that is quite the compliment and I do love each of my kids a lot and try to instill the best in them each day:) Thank you for being a reader of my site, much appreciated! I haven’t visited Ohio yet. Looks like I found my destination there when I do! College cousins only trip! Haha! Those do sound like a lot of fun not only for teens but for adults. Great to hear that you are having fun with your family. Kids grow up fast so make the most out of it! The last three mentioned are the ones I am interested in the most. 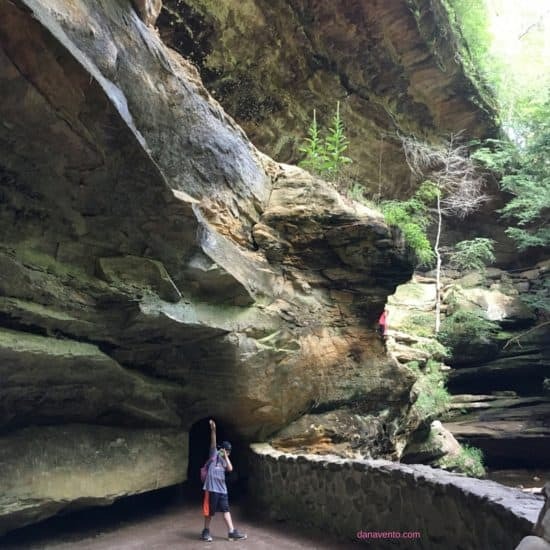 Never been to any of those places and Hocking Hills look very enticing for me. Will it be possible to go fishing on the last two? gathering and full of fun together. My kids are still quite young. When they become teens, I will be considering these great suggestions. But for now, I will be basking in the cuteness and fun of my little ones. 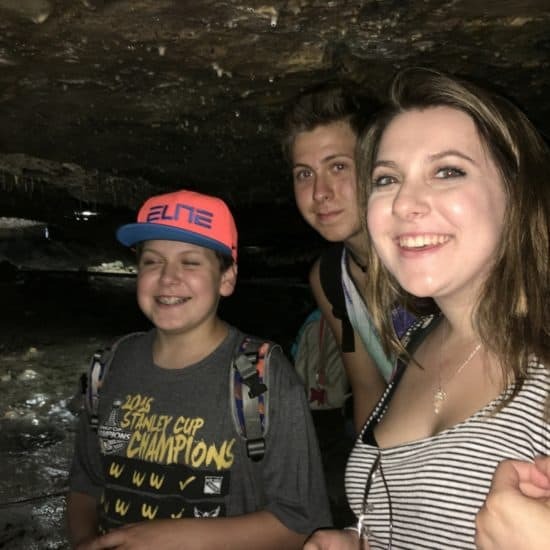 I agree, if you have teens with you during vacation whether in land or in cruise, they really need to enjoy every single seconds with it because if they smile all the time, just like the picture of your three angels, it means the trip is truly satisfying. I love the shore one. I think I can have a peaceful afternoon there base on the picture. I do not know what ” TEEN FRIENDLY” means but me, teen or not I am having a blast on vacations. I would love to pay these places a visit. Whether you are looking for a quiet weekend at the beach, a sporting adventure such as a marathon or kiteboarding contest, a look back at American history, or a special week with your family or friends, the Outer Banks has much to offer you.